It is hard to believe that the course that started early this month is coming to a close. Having spent a great deal of time understanding the broader concepts of the social determinants of health, it was worth taking some time off to refresh. The perfect way? Venture into the wild and meet with nature resounding with tranquility and serenity. Sitting on a boat along the Nile River as we wound up with the boat cruise, I was in a state of reflection. The mind at rest and experiencing the thrill, fun and relaxation that comes with such adventures. I felt like a newly born baby getting the first gasp of life after being delivered. The entire weekend has given moments to reminisce as one of my best highlights of the course besides the enlightening aspects. A trip to Murchison Falls, Uganda‘s largest National Park started off early morning on Saturday. The silent atmosphere away from the busy town life is what greeted our ears as we entered the park. Sights of a few kobs, giraffes and buffalos were quick to come by. The afternoon was well spent viewing the 45 metre deep falls from which the National Park derives its name, Murchison Falls. How beautiful it was to view the gushing waters of the Nile fall through the cliff. I remembered the high school days during our geography classes studying about East Africa‘s national parks and many more of nature ‘s bounty. This experience lit up these memories. Never mind the uncomfortably hot sun that rendered our drinking water packed in plastic water bottles not worthy of our drinking appetite. The sun angrily scorched and heat up the savannah grassland hard. To say it was unbearable would be an understatement. Nonetheless, the intense heat was not a deterrent to our fun. Returning from the exciting view of the falls, a camp fire with a blend of soothing music, soft and hard drinks, delicious barbeque and friendly conversation was what awaited our presence at our residence. We cracked jokes, had hearty laughters and then slowly by slowly, the joy of the night plummeted into sleep. Have you never taken a safari to an African National Park yet would like to enjoy the best of your experience while there? An early morning game drive is one thing you can’t afford to miss. Up by about 6am today, we had a game drive taking stock of all the animals we might have missed out seeing the previous day. Water bucks, Buffalos, African Elephants and Jackals were indeed a common sight. I am made to think that the fresh soothing breeze from the Nile waters comes with a therapeutic effect of relieving stress. A feeling of relaxation, revitalization and serenity was my experience there. A stop over at Pakwach Town Council later in the afternoon climaxed our trip as we bought beautiful handicrafts as souvenirs. It had not occurred to me that the Park was locally referred to as Paraa and the nearby town council as Pakwach. Thinking about the two local names which when loosely translated means places for hipottamus and leopards respectively made sense thereafter. After all, we saw a lot of hippos though unfortunately, we did not come across leopards. Maybe in my next trip, I will have an opportunity to see them. The presence of these mammals in this place could have given birth to these names, I wondered. This was my weekend experience. 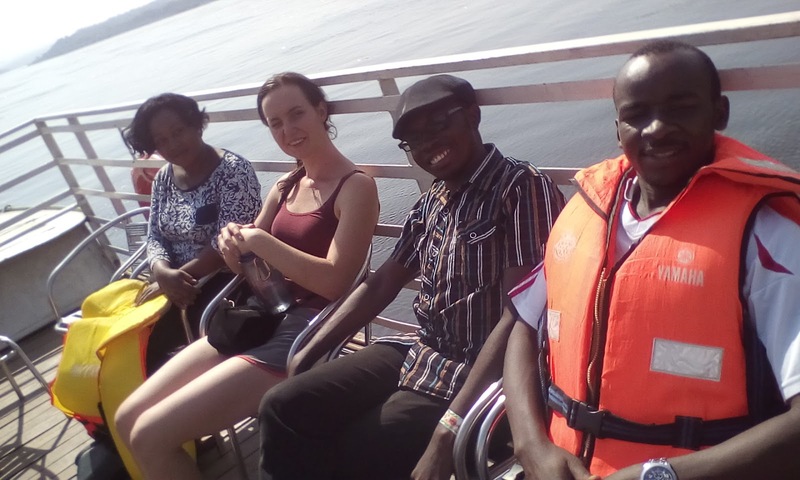 For those of you who might want to take time off and get your side of the story, Murchison Falls National Park trip courtesy of SocMed 2017 class has been a thrilling experience. Till again, be sure to get the highlights of what transpired during the course. The SocMed 2017 Experience begins!